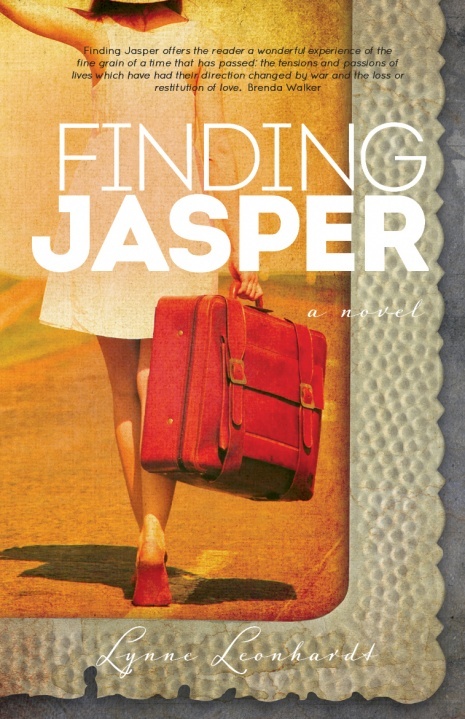 Tonight I finished reading Finding Jasper as a published novel—a fine production, Margaret River Press’s first full-length fiction title (2012). Finding Jasper spans twenty years of the twentieth century—1945 to 1965—and is told in three discontinuous parts representing different phases in the life of its main character, Virginia (Gin). For West Australians, especially those of the baby-boomer generation/s, there is the special delight of recognition in the novel’s evocation of Perth and the South West in these years, but you don’t need to be West Australian to appreciate the richness and authenticity of the re-creation of that past—the prevailing social attitudes to women and children, ‘the Hun’ and ‘the yellow peril’, the ‘long-haired layabouts’ of the sixties; world events (such as war, postwar displacement, the unease of the Cuban crisis period, the Kennedy assassination); the sometimes cringe-inducing idiom (from ‘bally blighters’ and ‘sods’ to ‘tickety boo chums’); the accoutrements of the times, details such as fox furs and Bex, soda siphons and Craven A cigarettes. The title character, Jasper, is the phantom of the story, a World War II fighter pilot who does not return from his last mission. Although absent, he is central to the lives of his daughter (Gin), wife (Valerie), sister (Attie) and mother (Audrey). But it is not Jasper’s novel; it belongs to these women, each of whom is materially and psychologically affected by that absence. Gin’s loss is perhaps the greatest, as she has no personal memory of her father and must rely on photographs and the stories of others. Images of her father were always contained in one-dimensional shapes, missing fragments in a puzzle. Cross-generational relationships are skilfully drawn, and the casual disregard with which the self-absorbed Valerie treats Gin is often painful to read. 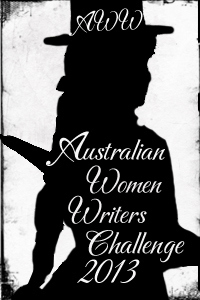 I was interested to observe that Valerie provoked some strong reactions at a Perth Writers Festival session recently; however, I found myself feeling some empathy for her. As a homesick British war bride and new mother transplanted to rural Australia, she is a stranger in a strange land at a time of social chaos and emotional upheaval. The property ‘Grasswood’, Jasper’s pride, tended so lovingly by Attie, is remote and, in Valerie’s eyes, desolate, and there are genuine threats from the natural world (bushfire, storms) and the human too (an unhinged neighbour). I was reminded of my late mother-in-law’s stories of having arrived in Australia from London in the 1950s and being sent to a tiny town in the Wheatbelt; the aching cries of the crows were, she said, the loneliest sounds on earth. In contrast to Valerie’s perceptions are the lyrical passages showing us ‘Grasswood’ through Gin’s eyes. Down here [at the dam] everything was calm and peaceful and the water looked inviting. Past the oily shallows, green and gold reflections shimmered, undefined, penetrating the constantly merging brown and silver streaks that stretched across the water. Back and forth above the ripples, metallic dragonflies hovered, then darted, their wings a brilliant blur of blue. Part 3 of the novel, set in the 1960s, charts Gin’s coming of age, and seems to mirror an escalating pace of life. Despite several heart-breaking tragedies in this section, the trajectory is ultimately hopeful, without being prescriptive, and I felt a sense of elation for Gin in the final pages. If you were to ask me about the changes made between the manuscript I read years ago and this polished debut novel, I could not tell you. Enough time has passed for the experience of reading the work as it stands today to feel brand new. I do know that it would have been honed and redrafted many times, because that is what good writers do. And I can tell you that I was so immersed, again, in Gin’s world that it was a wrench when I had to leave it behind. Finding Jasper by Lynne Leonhardt (Margaret River Press, 2012).